Daniels Spectrum is hosting a new photography exhibition that examines life in historic Cabbagetown one hundred years ago. The exhibitions are open to the public daily (Mon–Fri 8 am – 9pm, Sat–Sun 10am – 6pm) from November 29 – January 26, 2015. Presented by the Cabbagetown Regent Park Museum (CRPM), the exhibition explores two-square blocks in what is now Regent Park that provided residents the opportunity to work, attend school, shop, explore nature and prosper. By investigating the lives of real people who lived in the original Cabbagetown, Close to Home identifies lessons for creating a more sustainable, humane, and livable urban future,” said Sally Gibson, curator of the exhibition. For ten years, the Cabbagetown Regent Park Community Museum has been exploring the history of two of Toronto’s oldest neighbourhoods, presenting exhibitions both online and at venues around the city. 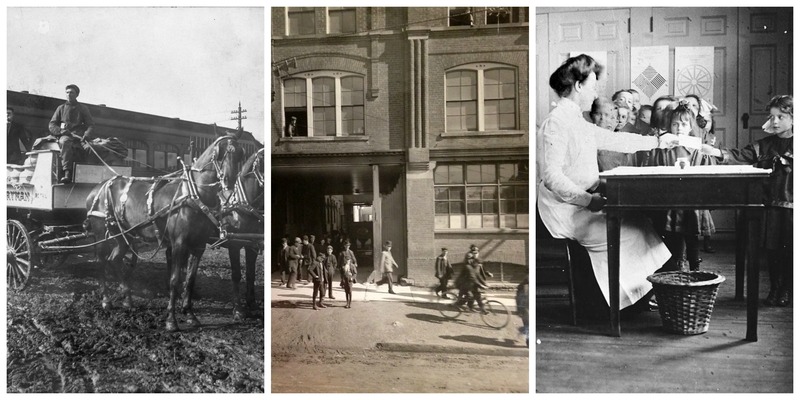 The Museum has been collecting archival photographs, historic maps, artifacts, ephemera and oral histories that tell the stories of the people, buildings, and events that have shaped both neighbourhoods from the 1800s until today.